If we can just get right to the root of the problem, we can really cover some ground and get your body back to normal with a diabetes diet meal plan. 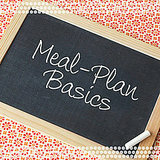 First, we have to understand that when starting any type of diabetes diet meal plan there are 3 things that are very important. And at a more psychological level if we don’t understand these it is impossible to stay on track with your diet. Eating refined foods and foods that simply taste good and have been stripped away of all nutrients is one of the main reasons why our body breaks down. And then over time the result is the inability to metabolize sugar. These are like “fake foods”. Foods like soda, cake, candy, and white bread. They cause the pancreas to work harder in response to a meal. And enough of this over time, causes big problems. Not to mention, we also look to food for instant gratification. How many people do you know who drink coffee for it’s nutritional value. Instead we drink coffee for the caffeine. A quick pick-me-up. Only to crash a couple of hours later. Well caffeine is a drug which impairs glucose metabolism in people with Type 2 diabetes or prediabetes. And in fact, for a cup of coffee the pancreas produces 3 units of insulin. This is one of the reasons why we recommend that Type 2 diabetics cut back on the coffee and caffeine. Just think of someone who drinks say 4 cups of coffee per day. It can really screw up your blood sugar. So the first things we need to do is swap out foods that have no nutritional value with nutrient dense foods. And some of the most nutrient dense foods you can eat are the leafy green vegetables. Foods like kale, spinach and collard greens to name a few. Instead of just eating foods that please your taste buds right now we need to shift our thinking around food. When you eat food you should start to think from now on in 3 timeframes. What this food will do to me in the short term (the next few hours), the intermediate term (1-3 years from now) and the long term (5-20 years from now). And the idea is you want foods that will produce the most benefit in the longterm. If you can recondition your mind to not look at food as something that needs to taste good now rather something that is going to provide you health benefits for many years to come you, will drastically affect diabetes. That brings me to the next mistake. In the US so many times, we use food as a means of comfort. Many of us have the wrong conditioning around food. In my family, if you didn’t clean the plate something was wrong. In so many households, more is better. Portion sizes are out of control. And we rely on food to help us feel better in the short term. Not to mention, holidays are when we get together with family and friends and do what? Eat. And it’s usually the most unhealthy foods that we eat. If you’ve had a long day, you might turn to a sugary snack or drink. Or if we’re stressed we might eat way too much of the wrong foods. I’ve even had some doctors who struggle with this and have asked me for help in this area. I can recall numerous times at conferences where they’ve shared with me how hard it is to “give up” or avoid certain foods. The bottom line is it all comes down to wiring. We must change how we think about food. We must catch ourselves in the moment and live more consciously in this area. And ask ourselves – why we are turning to foods that have no nutritional value only to fill an emotional void?